Students Attendance Record is a flexible and interactive software application for recording and archiving students’ class attendance and also provides an immediate communication with the students/parents through E-mails or SMS messages to inform them about their class attendance records. 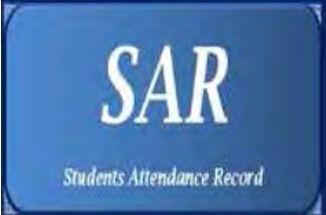 SAR helps the user/instructor to analyze and compare the attendance record of any student throughout his study. It also analyze the attendance record of any particular course and compare it against the same course during the current semester or previous semesters. The attendance record of the classes of any instructor during the semester can by analyzed and compared, by SAR, against each other or previous courses during previous semesters. SAR can also analyze and compare the attendance records between the semesters. Sending SMS messages require having a GSM modem or mobile phone with valid SIM card connected to the computer. SAR runs on all Windows OS. The list of attendance and also any generated reports can be saved on the computer as PDF file or it can be printed. SAR can be customized any other particular reports requested by the customer. SAR can provide many other useful features and the customer can request any additional features.